Kidrobot has got everyone’s favorite neighborhood pool guy is back in action in HugMe form with a magical unicorn sidekick along for the ride. 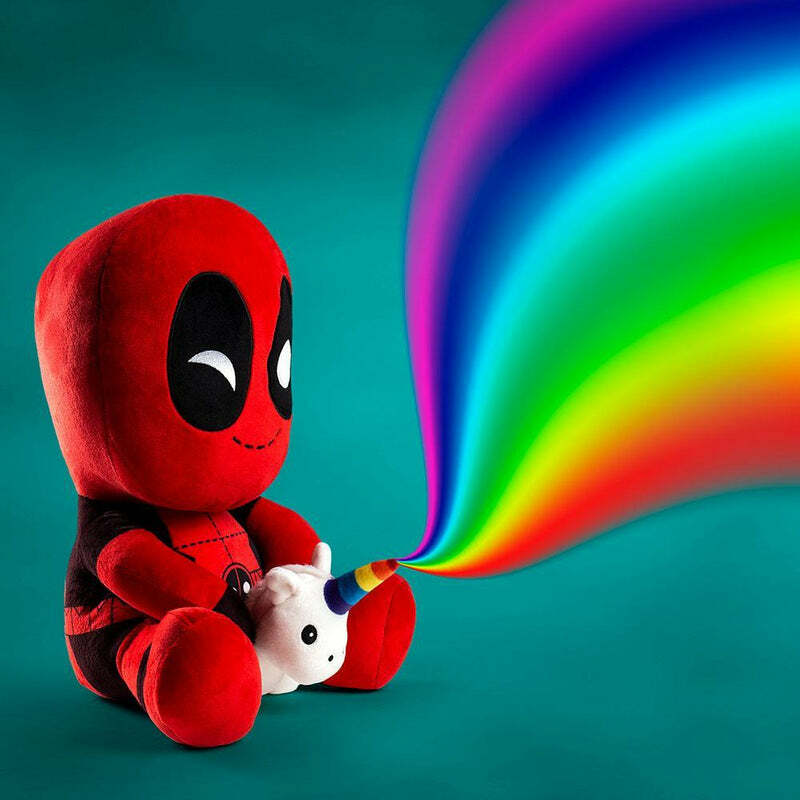 Standing 16” tall and containing a vibrating pack for a huggable fun experience, the Deadpool Riding a Unicorn Hugme Vibrating Plush can be all yours today for $34.99! Grab this huge vibrating plush buddy today because I bet it feels huge in your hand! And to make the deal ever sweeter... batteries are included! Operators are standing by for your call now.